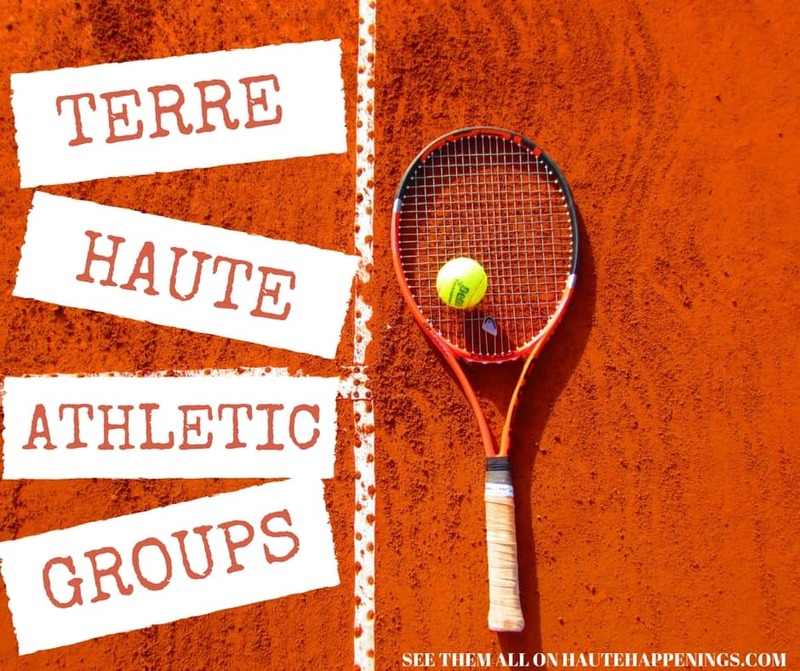 July Events in Terre Haute and the Wabash Valley! July is the month for summer fun. With our event calendar, your biggest fun-related problem may be narrowing down your options! The 2018 summer event calendar for Terre Haute and the Wabash Valley would not be possible without the support of Kindermusik at KinderCenter. If we want to see the Terre Haute area attract more families and offer more family fun, we need to support kid-friendly businesses like Kindermusik! To see the fun and enriching classes Ms. Rhonda has planned for the rest of summer and the fall, check out the Kindermusik website! If you have a preschooler, check out the remaining PlayShop opportunities and themes! “Camping” will take place July 11 & 12 and Outer Space will be July 18 & 19. July 16-29. Taste Terre Haute. Taste Terre Haute. The Terre Haute Chamber of Commerce, along with a committee of local restaurant owners are excited to continue Taste Terre Haute for a third year in 2018! Taste Terre Haute (sponsored by “Pepsi Refreshment Services”) is inspired by similar events in larger cities such as Devour Downtown in Indianapolis. 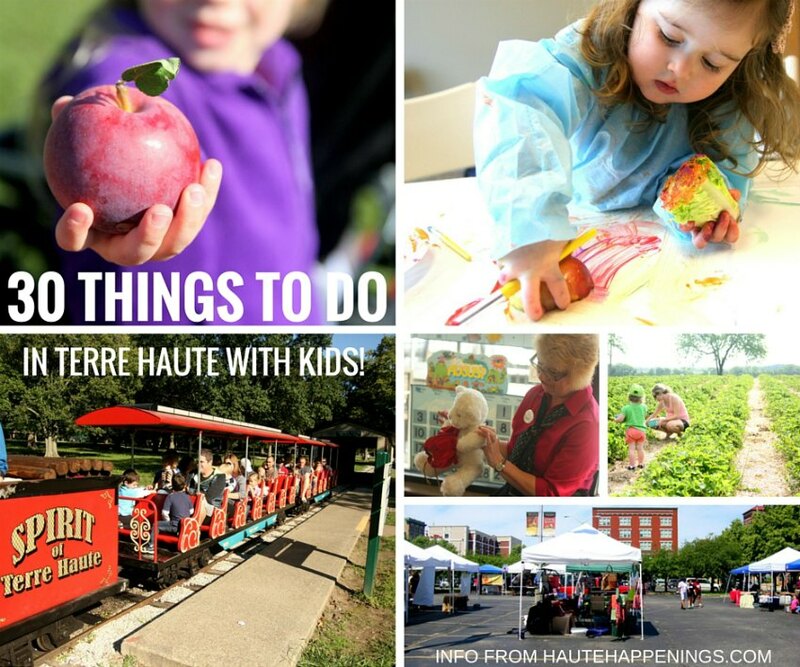 Taste Terre Haute will run for two weeks; July 16-29 2018. The event will highlight the variety of restaurants in the Wabash Valley and showcase their unique offerings. Every participant will be asked to offer a “deal” aka their own “taste” to diners, whether that is a special menu, free dessert, specialty cocktail, percentage off a meal; the specifics are up to each individual restaurant. See all of the 2018 deals on the Taste Terre Haute website! July 20. 10:00 a.m. Mobile Recreation at Dobbs. We will be offering a variety of recreational activities for 2 hours on the scheduled dates. We highly encourage everyone that intends to participant arrive at start time. July 20. 11:00 a.m. Musical Makey Makeys at Haute Create at VCPL Main Branch. Sketch your own instrument with pencil and paper. Connect your artwork to a sound station using Makey Makeys. Get ready to rock out! Registration Required. July 20. 2:00 p.m. Libraries Rock: Teen Karaoke at VCPL Main Branch. Ages 12-19: Be ready to sing your heart out – or just enjoy some snacks while others perform. Singers of all talent levels are welcome! July 20. 6:30 p.m. Family Fun Night at Emmanuel United Methodist Church. There will be a Bounce House, games, popcorn, ice cream, snacks, and drinks. This event is free and open to anyone who would like to come. It’s a chance to get out of the heat and have some indoor summer fun in a safe and positive environment. You’re invited! July 20, 21, 22. 27. 28, 29. Joseph and The Amazing Technicolor Dreamcoat. Maple Avenue United Methodist Church. July 21. Kids & families SKATE FOR FREE at The Wigwam on Saturday July 21 from 7pm – 9:30pm. Admission is free. Skate rental $3.00 extra (if needed). July 21. 8:00 a.m-noon. Kids Day at the Terre Haute Downtown Farmers Market. Located at the Meadows, 2700 Poplar St. Kids Day is all about family-friendly fun. We invite numerous guests from local businesses and organizations to superheroes out to the market in order to bring something unique to our customers. July 21. 9:15 a.m. Baby Explorer: Exploring Color at the Terre Haute Children’s Museum. Mixing and Creating with color. Explore how colors combine to make new colors with a variety of activities and experiments during this month’s Baby Explorer class. Baby Explorer is for ages 0-2 and their caregiver. July 21. FREE swap at Maryland Community Church. Bring what you can and take what you need. Everything is free! Find out more HERE. July 21. 12:00 p.m.-6:00 p.m. Crosswords Uncorked Wine and Beer Festival at The Sycamore Winery. The Sycamore Winery/Big Leaf Brewing has partnered with the Terre Haute Convention and Visitors Bureau to bring Crossroads Uncorked, a new wine and beer festival in Vigo County. Crossroads Uncorked festival includes Indiana wine and craft beer sampling, food trucks, craft market and live music from local artists. General Admission Tickets = $30. July 21-27. Parke County 4-H Fair. Since 1921, features a celebration for those near and far that showcases all that the county has to offer. Plenty of things to do and see for young and old such as children’s activities, entertainment, food, and merchandise vendors, livestock and agricultural competitions and much more. July 23. 9:00 a.m. Edcamp at ISU. Edcamp is a FREE “unconference.” Rather than having a conference with set sessions, Edcamp is a discussion amongst passionate educators who want to improve their craft. Come join this organic, teacher-led professional development opportunity! July 23. 12:30 p.m. Mobile Recreation at Brittlebank. We will be offering a variety of recreational activities for 2 hours on the scheduled dates. We highly encourage everyone that intends to participant arrive at start time. July 23. 5:30 p.m. Watch This! West “Peter Rabbit” at West Branch VCPL. Peter Rabbit and his three sisters enjoy spending their days in Mr. McGregor’s vegetable garden. When one of McGregor’s relatives suddenly moves in, he’s less than thrilled to discover a family of rabbits in his new home. A battle of wills soon breaks out as the new owner hatches scheme after scheme to get rid of Peter. Based on the beloved books by Beatrix Potter. Refreshments will be served. July 24. 11:00 a.m. Mother Goose on the Loose at West Branch VCPL. Ages 0-5: Join Mother Goose for an interactive storytime with books, songs, rhymes and musical instruments. You and your child will play together and develop early literacy skills. July 24. Chick-fil-A Storytime from 9:30-10:30am. July 24. 1:00 p.m. Summer Rocks! Scavenger Hunt at VCPL West Branch. . Get outside and start digging – rocks and minerals are waiting to be discovered. Kids will be introduced to rocks and minerals common to the area, then will go on a scavenger hunt to find them! July 25. 9:30 a.m. Creek Stompin’ at Deming Park. Open to ages 5-12Cost: $5 per class. Registration can be done over the phone at 812-232-0147, online, or at the Torner Center during business hours. July 25. 6:30 p.m. BRICKS 4 KIDZ® Dancer at West Branch VCPL. Ages 6-15: There is more to a pirouette than meets the eye. Explore the origins and health benefits of dance, build an engaging little dancer and learn the physics behind the famous spin. Registration Required. July 26. 10:00 a.m. Mobile Recreation at Deming. We will be offering a variety of recreational activities for 2 hours on the scheduled dates. We highly encourage everyone that intends to participant arrive at start time. July 26. 2:00 p.m. Rhythm Rocks! at VCPL Main Branch. Ages 5 – 11: Do you enjoy crafts and musical instruments? Drop in to create and decorate your own Rhythm Board to take home. July 26. Terre Haute Chick-fil-A Night of Heroes from 6-8pm. Meet police officers, firefighter and other local heros. July 27. 6:00 p.m. Summer Reading Finale at VCPL Main Branch. Reward yourself for reading all summer. Munch on free food, jump inside bounce houses and go down a giant slide. Activities for the entire family will be available. July 27. Game night at the Deming Park pool. $ 1.00 admission. Enjoy games like corn hole, floating tic tac toe, underwater diving rings, water basketball, noodle limbo, hit some beach balls and enjoy some music with our DJ Dusty. Please check the parks department facebook page for updates closer to the event date. July 27 and 28. Serve the Valley. United Way of the Wabash Valley and Maryland Community Church are partnering together for a new volunteering event. July 27. Christmas in July Kids’ Night Out at the Vigo County YMCA. July 27. 10:30 a.m. Ready to Read Storytime at VCPL WEST Branch. 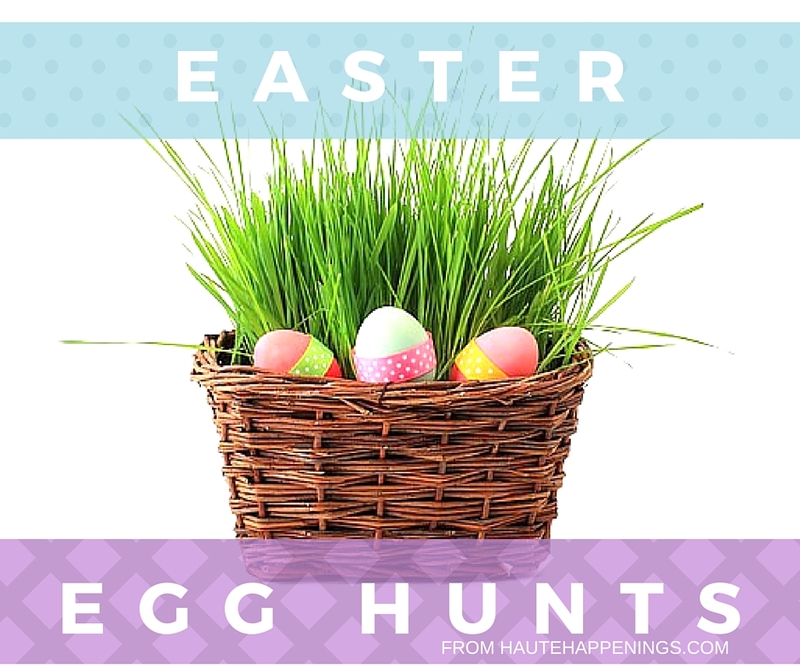 Ages 0-5: Sing along to music, move your bodies with egg shakers and scarves, hear stories and participate in crafts or playtime. Parents and caregivers are invited to participate with their children during this storytime. July 27. 1:00 p.m. Bricks4Kidz: Kids Workshop at VCPL Main Branch. Ages 5-11: Bricks 4 Kidz is learning, building and playing. Enjoy a new building activity each week. Registration Required. July 27. 11:15 p.m. WVRR’s Midnight River Run at Fairbanks Park. The 1 Mile Run will start at 11:15 p.m. and the 5K will start once the 1 Mile competitor’s are finished. Coach’s please provide a cover letter with team applications stating school name, mailing address, and coaches contact number. All school team members (minimum 4 per team) must submit their applications together. July 28. Clay County Back 2 School Bash for Clay County students. Food, immunizations, backpacks, haircuts, and more–all for free! July 28. 8:30 a.m.-3:00 p.m. National Dance Day. The Terre Haute Parks Department will be participating in National Dance Day again this year. Registration will begin at 8:30 am in the Girl Scout Building in Fairbanks Park. Cost is $5.00 per person and this includes lunch and a shirt. July 29. 2:00 p.m.- 4:00 p.m. Clayshire open house. Join us on from 2-4pm for an open house! Come see the inside of the castle with free tours, and enjoy light refreshments and entertainment. July 29. 12:35 p.m. Daniel Tiger and Katerina Kitty Cat at the Indianapolis Indians Game. Doubleheader Kids Eat Free Sunday. Children 14 and under receive a voucher good for a hot dog, bag of chips and bottle of water with the price of admission. Gates open at Noon. Presented by Aquafina and Meijer. Daniel Tiger and Katarina Kittycat greet fans in PNC Plaza before and during the game. Presented by PBS and WFYI. July 30. 11:00 a.m. Terre Haute Adventures in the Park hosted by Indiana Digital Learning School. Join students, families, and staff for a fun-filled afternoon of activities for all ages and grade levels in the park. Bring the kids, your lunch or snacks and your questions, and learn all about our school! Please register. July 31. Storytime at Chick-fil-A Terre Haute from 9:30-10:30am. July 31. Vigo County Parks Department Party in the Parks. Typos happen and event details change. Please check original links and.or contact event coordinators before making your plans! Want even more summer fun? 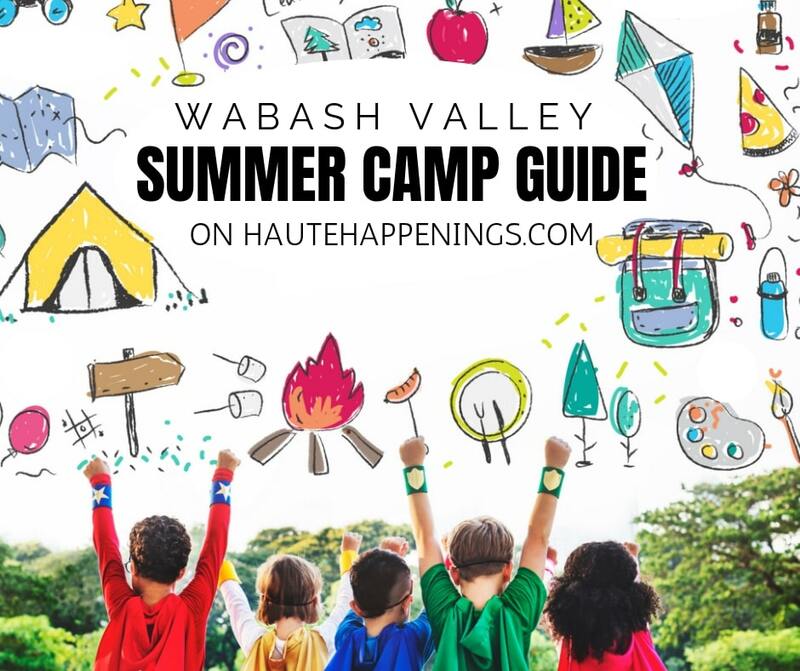 You need this post: 150 Free or Cheap Things to Do This Summer in the Wabash Valley! July 2. 10:00 a.m. Mobile Recreation at Deming. We will be offering a variety of recreational activities for 2 hours on the scheduled dates. We highly encourage everyone that intends to participant arrive at start time. July 2. 5:30 p.m. Watch this! “Coco” at VCPL WEST Branch. Despite his family’s ban on music, Miguel dreams of becoming an accomplished musician like his idol Ernesto de la Cruz. To prove his talent, Miguel finds himself in the stunning and colorful Land of the Dead where he meets the cunning Héctor and embarks on a journey to unlock the real story behind his family history. Refreshments will be served. July 3. Kids Cooking Class at Deming park. Open to ages 4-12. Ages 4-8: 9:30 am-11:00 am. Ages 9-12: 1:00 pm-2:30 pm. Cost: $5 per class. Registration can be done over the phone at 812-232-0147, online, or at the Torner Center during business hours. July 3. 9:30-10:30am Story Time at Terre Haute Chick-fil-A with special guest reader Mayor Bennett. July 5. 10:00 a.m. Mother Goose on the Loose at VCPL Main Branch. Ages 0-5: Join Mother Goose for an interactive storytime with books, songs, rhymes and musical instruments. You and your child will play together and develop early literacy skills. Ready to celebrate the 4th? We have two posts just for you: the 2018 Wabash Valley fireworks and our guide to local, patriotic events! July 5. 12:30 p.m. Mobile Recreation at Fairbanks. We will be offering a variety of recreational activities for 2 hours on the scheduled dates. We highly encourage everyone that intends to participant arrive at start time. July 5. 1:00 p.m. Hands-on Science: Plastic Bag Challenge. Can you poke a plastic bag full of water without spilling a drop? Join us to put this theory to the test with an exciting hands on activity. Included with admission. July 6. 2:00 p.m. Libraries Rock: Guitar Hero and Rock Band at VCPL Main Branch. Ages 12-19: Put your band together and unleash your inner rock star! Jam on drums, guitar, bass and vocals as you play games from the Guitar Hero and Rock Band series. Refreshments will be provided. July 6. 4:00 p.m. First Friday: What’s More American at VCPL Main Branch. You’re invited to a bite-size All American backyard barbecue complete with a kiddie pool and grill for pretend play. Try your hand at indoor baseball as you snack on tiny treats. Don’t forget to grab a piece of apple pie. July 6. 5:00 p.m First Friday: Fireworks at The Children’s Museum of Terre Haute. Fireworks and science come together as you make fireworks in a jar and create your own fizzing black snake. Hands-on science is included with admission. July 6. 6:00 p.m. First Friday RAD ride. Join us at the Griffin Bike Park tent downtown for a fun, exciting, easy paced ride through the streets of downtown. Short and medium length rides available. Wheelies will be ridden, curbs will be jumped and fun will be had! This is a free event and family friendly! July 6. 6:00 p.m. Friday Family Movie Night in Sullivan. The movie will be shown on the outside wall of the Civic Center. It will be a drive-in atmosphere, so feel free to bring blankets and/or lawn chairs! Free popcorn and water available. July 6. 9:00 p.m. (CDT) Marshall Summer Movie Series- Wonder. All movies will take place on the courthouse lawn after the Friday night Marshall Municipal Band Concert. They will be shown on a large screen set up on the lawn, starting at 9pm. Feel free to bring a blanket or lawn chair. July 7. 8:00 a.m. Family Day Fishing Rodeo at Hawthorne Park. July 7. 10:00 a.m. Wabash Valley Coder Dojo at VCPL Main Branch. Ages 7-17: Learn to code, build a website, create an app or a game and explore technology in an informal, creative and social environment. Registration required. July 7. 10:00 a.m. Mother Goose on the Loose at VCPL Main Branch. Ages 0-5: Join Mother Goose for an interactive storytime with books, songs, rhymes and musical instruments. You and your child will play together and develop early literacy skills. July 7. Summer Berry Bash at Fresh on Cypress on Miller Farm. Games, prizes, snacks – and of course BLACKBERRIES! July 8. Broadway on the Bash at the Saratoga. Call to reserve seats and tickets. July 9. 10:00 a.m. Rockin’ Family Fitness. Join me at the Vigo County Public Library and learn how to stay active with your little ones! We will workout, play games, and talk through some of the challenges of staying fit when you have little ones at home. FREE for all participants. Must register for the class through the Vigo County Public Library. July 9. 12:30 p.m. Mobile Recreation at Collett. We will be offering a variety of recreational activities for 2 hours on the scheduled dates. We highly encourage everyone that intends to participant arrive at start time. July 9. 5:00-7:00pm Create a Cow Costume Family Event at Terre Haute Chick-fil-A. July 10. Cow Appreciation Day at Chick-Fil-A. Make or buy your cow costume (or any sort of cow apparel, really). Wear your cow costume to your favorite Chick-fil-A between Opening and 7 p.m. Receive a free entree! July 10. Movie night at the Vigo County Fair. Watch Ferdinand under the stars. July 11. 6:00 p.m. Watch This! “Tomb Raider” at VCPL Main Branch. Lara Croft, a London bike courier whose adventurous, eccentric father disappeared when she was a teenager, discovers clues that could lead to his last known destination: a fabled tomb on a mythical island. Hoping to find answers about what happened to her father, Lara must push herself beyond her limits as she journeys into the unknown. July 11. 6:30 p.m. Bricks 4 Kidz WeDo Coding Drumstick at VCPL WEST Branch. BRICKS 4 KIDZ® coding class teaches important strategies to enhance logic and problem-solving skills and to work toward becoming technological innovators of tomorrow. Registration Required. July 11, 18, 25. 1:00 p.m. Tiny Tot Skate at Terre Haute Skate World. 12 and under only! Only $2.50 per person. Skate rental / Skate Mate rental extra (if needed). July 11. 8:00 p.m. Rumble at the Fair. The Pro (Crate) Late Models & Scott’s Custom Colors & Auto Body DIRTcar UMP Modifieds take to the track during the Vigo County Fair. July 12, 19. 10:30 a.m. What’s that Sound? at VCPL WEST Branch. Summer Lego Duplo classes rock at your library!Songs, games and creative play are part of each Lego Duplo class and allow for positive social interaction between children. Enjoy Mommy & Me / Daddy & Me BRICKS 4 KIDZ® classes this summer which focus on sounds. July 12. 11:00 a.m.- 6:00 p.m. Terre Foods Blueberry Festival. Masonic Lodge at 224 N 8th St. It’s that time of year again folks and the blueberries are almost ready! $5.00 will get you a fresh, organic blueberry sundae. You can have it covered in fresh blueberries or our homemade organic blueberry compote, or both! July 12. 5:30 p.m. Family Fun Night at Honey Creek Mall. All ages: Experience the natural world at Honey Creek Mall and learn about the Nature Explore certified classroom. Enjoy the same creative and family-oriented activities that you would if you were visiting the West Branch. July 11. 9:30 a.m. Creek Stompin’ at Deming Park. Open to ages 5-12Cost: $5 per class. Registration can be done over the phone at 812-232-0147, online, or at the Torner Center during business hours. July 7-14. Vigo County Fair. At the Wabash Valley Fairgrounds. Find out what’s fun for kids and families in our Vigo County Fair post! July 13. 7:00 p.m. Movie in the Park Coco. Hawthorne Park. July 13. Game night at Deming Park pool. Enjoy some pool games and some music by our DJ Dusty! $1.00 Admission starting at 4:30 pm. July 14. 10:30 a.m. The Sun Program at Dobbs. $9.00 craft fee. Please pre-register. Make a sundial to put in your yard and help you keep track of the time. Learn about our most important star. Call 812-877-1095 for questions or registration. July 14. 11:00 a.m.-4:00 p.m. Train Day at the Terre Haute Children’s Museum. 10-25 different organizations and individuals will have train layouts on display, and three Indiana railroad museums will share information about their facilities. All the activities are included with Museum admission. July 14. 4:00 p.m. Summer Safari at The Exotic Feline Center in Center Point, IN. View Cats Not Seen on Regular Tours. Refreshments Served. Tickets $10-$20. July 16. 12:30 p.m. Mobile Recreation at Sheridan. We will be offering a variety of recreational activities for 2 hours on the scheduled dates. We highly encourage everyone that intends to participant arrive at start time. July 16, 23, 30. 10:00 a.m. Babies and Books at VCPL Main Branch. Ages 0-18 Months: Join us for a 30 minute lap-sit program for babies. A 30 minute optional play will be available after storytime. July 17. Story Time at Terre Haute Chick-fil-a with guest speaker Mother Goose. 9:30-10:30am. July 17, 24, 30. 10:00 a.m. Toddler Tales at VCPL Main Branch. Bring your toddler to the Library for interactive stories, songs, dancing and activities from 10:00am to 10:30am. There will be 30 minutes of free play offered from 10:30am to 11:00 a.m.
July 17. 1:00 p.m. Nutrition Rocks with Purdue Extension at VCPL WEST branch. Ages 5-8: Facts, food and physical activity. Rock through this nutrition program with fun stories and movement both inside and out, weather permitting. Registration required. July 17, 24, 30. 1:00 p.m. Art Start at Swope Art Museum. Young artists are invited to experience this free art program that uses books and corresponding art projects to encourage creativity. For children ages 3 – 5 accompanied by an adult. Explore the Museum together with an interactive gallery guide to build on the Art Start experience. July 17, 24, 30. 5:00 p.m. Summer Storytime at ISU Bookstore. Join us as we venture through some great tales. We will be reading one to two stories about a certain subject and then we will be completing a craft together. The story time is intended for ages 3 to 7 but all are welcome. We hope you can spend some time with us this summer. July 18, 25. 10:00 a.m. Preschool Storytime at VCPL Main Branch. Ages 3-5: Bring your preschooler to the Library for interactive stories, songs, dancing, crafts and play from 10:00am to 10:30am. There will be 30 minutes of free play offered from 10:30am to 11:00am. July 18, 25. 4:00 p.m. Maker Camp at VCPL Main Branch. Ages 11-14: Make, create, craft, hack and tinker this summer with Maker Camp at the Vigo County Public Library. Maker Camp is a dynamic global community developed by Google and Make Magazine to encourage your middle schooler to become a creative problem solver, visionary thinker and courageous doer. Pick and choose which sessions you’d like to attend– or attend them all. Please register for each session separately. July 18. Kids Cooking Class at Deming park. Open to ages 4-12. Ages 4-8: 9:30 am-11:00 am. Ages 9-12: 1:00 pm-2:30 pm. Cost: $5 per class. Registration can be done over the phone at 812-232-0147, online, or at the Torner Center during business hours. Fishers YMCA–Splash Pad, Wading Pool, Slides, and FREE Admission! 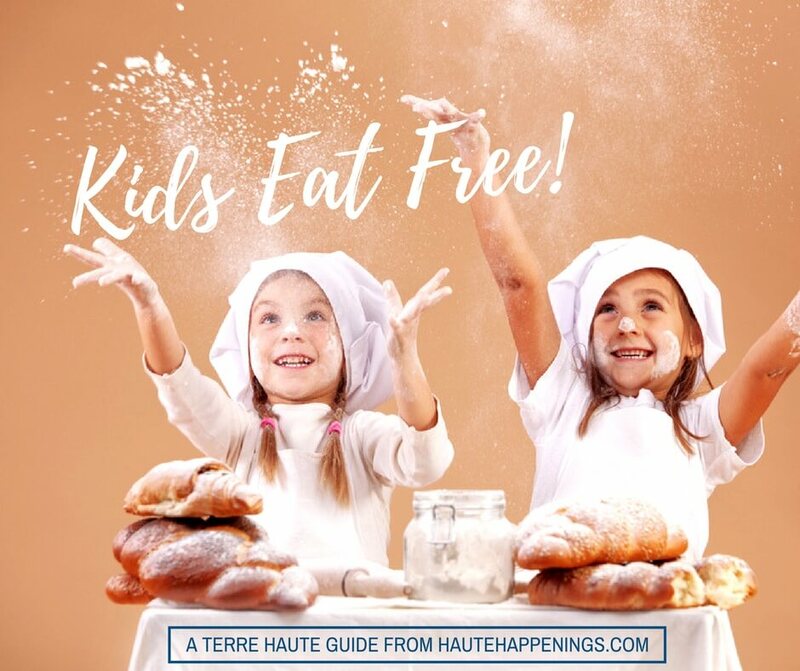 Kids Eat Free in Terre Haute!